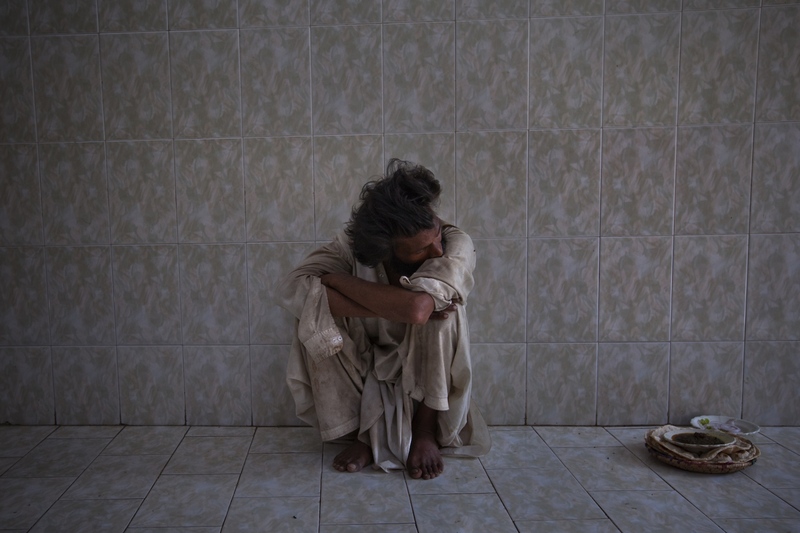 A Pakistani man said to be possessed by a demon sits inside the shrine of spiritual leader Hazrat Abdullah Shah Ashabi, where he has been living, in Makli in the district of Thatta in Pakistan's Sindh province on November 24, 2011. 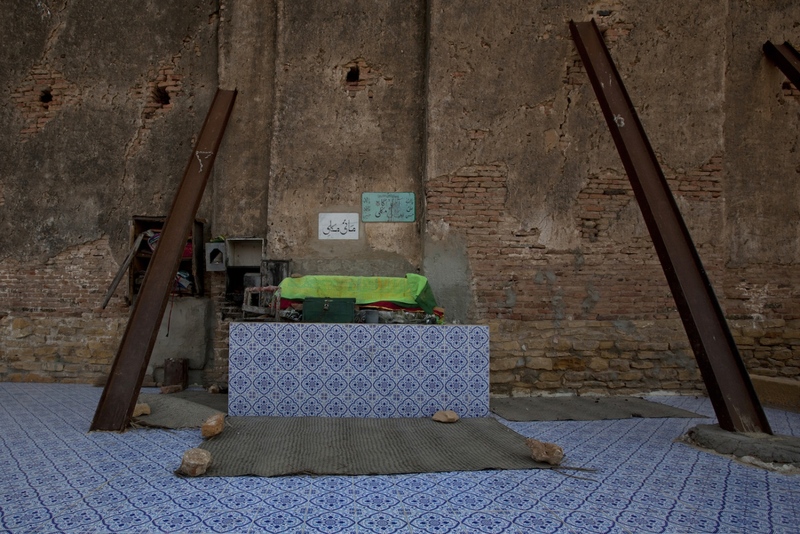 Pakistani resident Muhammad Rehan, 18, believed to be possessed by a demon, sits by the wall he has been chained to for four months at the shrine of spiritual leader Hazrat Abdullah Shah Ashabi in Makli in the district of Thatta in Pakistan's Sindh province on November 24, 2011. Pakistani worshippers offer prayers at the tomb of spiritual leader Hazrat Abdullah Shah Ashabi in Makli in the district of Thatta in Pakistan's Sindh province on November 24, 2011. 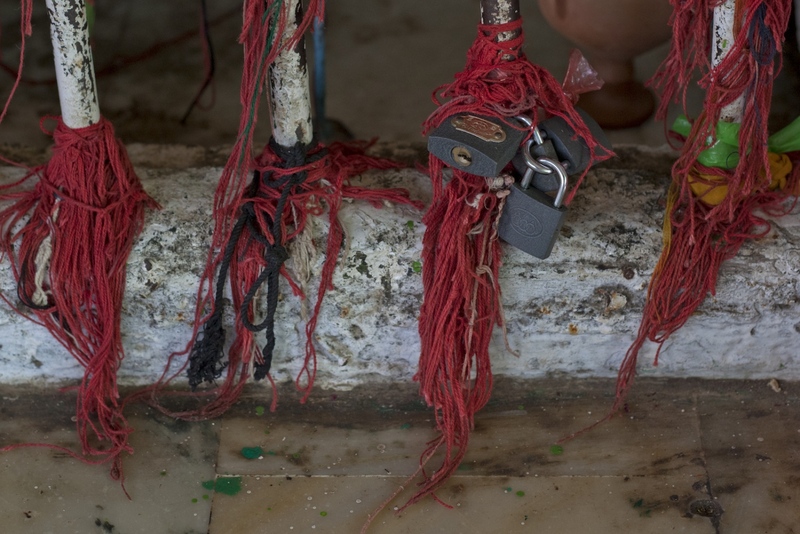 Padlocks and threads symbolising the prayers of Pakistani worshippers are left at the tomb of spiritual leader Hazrat Abdullah Shah Ashabi in Makli in the district of Thatta in Pakistan's Sindh province on November 24, 2011. 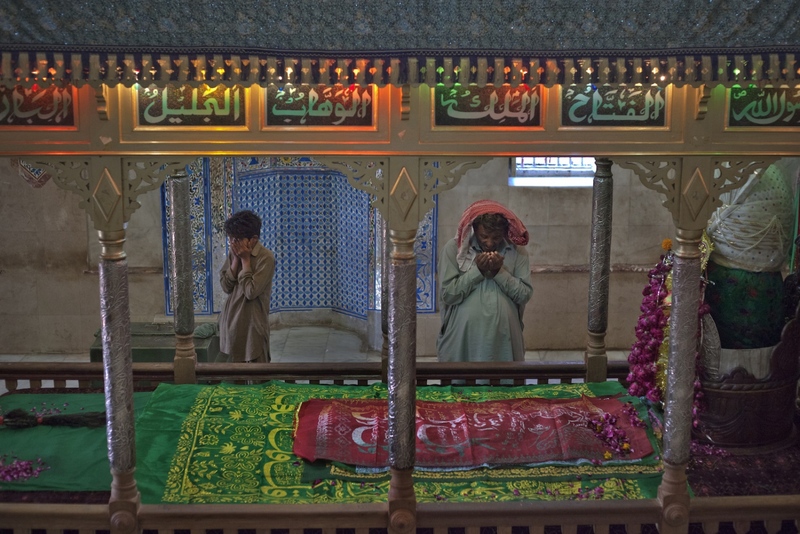 A shrine near the tomb of spiritual leader Hazrat Abdullah Shah Ashabi in Makli in the district of Thatta in Pakistan's Sindh province on November 24, 2011. A Pakistani resident believed to be possessed by a demon paces inside the shrine of spiritual leader Hazrat Abdullah Shah Ashabi in Makli in the district of Thatta in Pakistan's Sindh province on November 25, 2011. 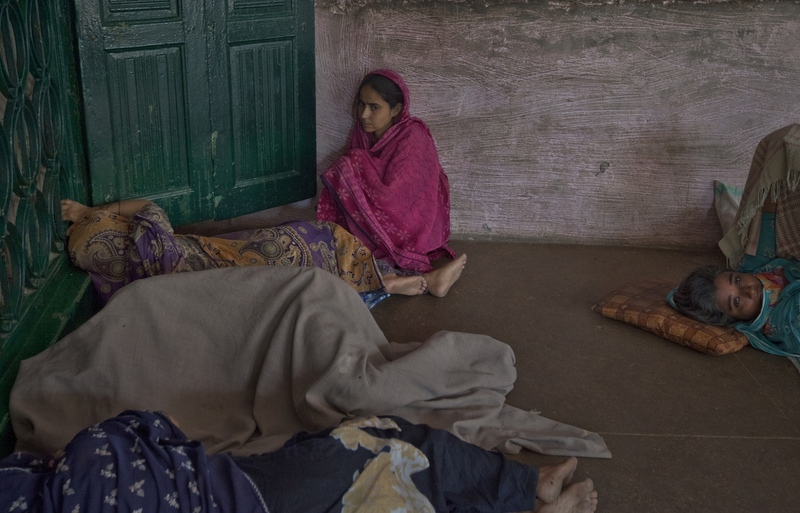 Pakistani residents lie close to the tomb of spiritual leader Hazrat Abdullah Shah Ashabi in Makli in the district of Thatta in Pakistan's Sindh province on November 24, 2011. 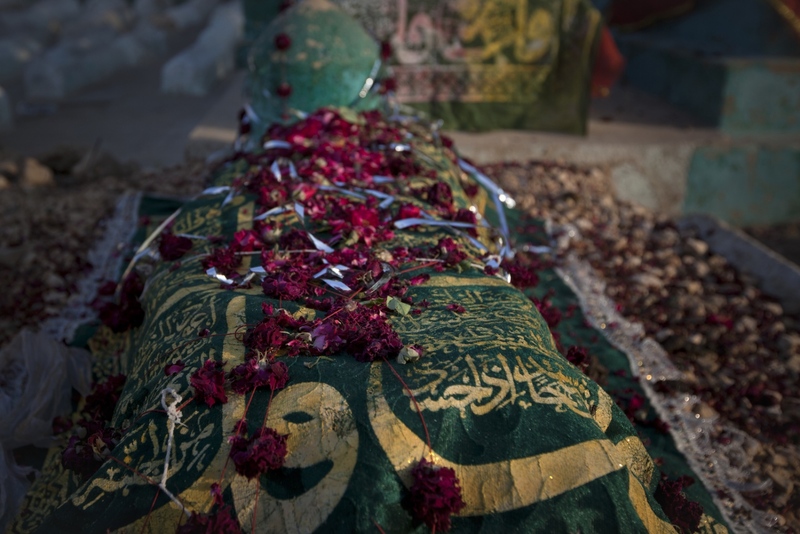 Flowers and a shroud cover a grave at the shrine of spiritual leader Hazrat Abdullah Shah Ashabi in Makli in the district of Thatta in Pakistan's Sindh province on November 25, 2011. 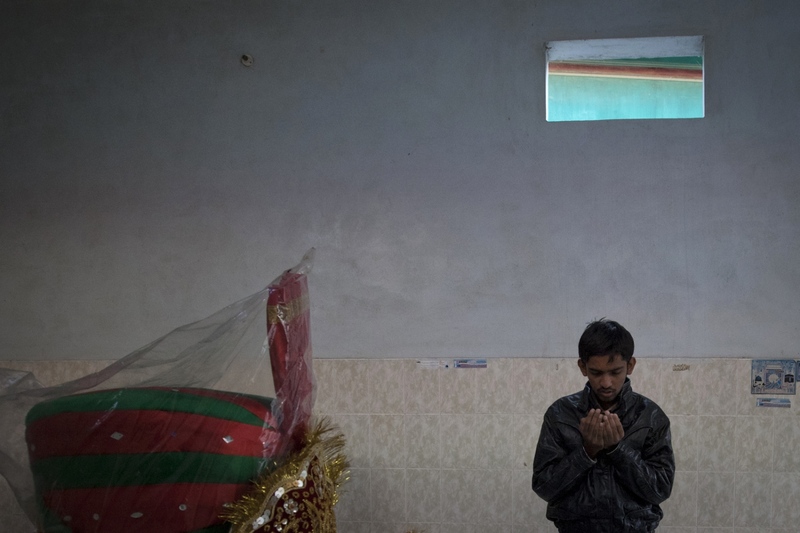 A Pakistani worshipper offers prayers inside the shrine of spiritual leader Hazrat Abdullah Shah Ashabi in Makli in the district of Thatta in Pakistan's Sindh province on November 25, 2011. 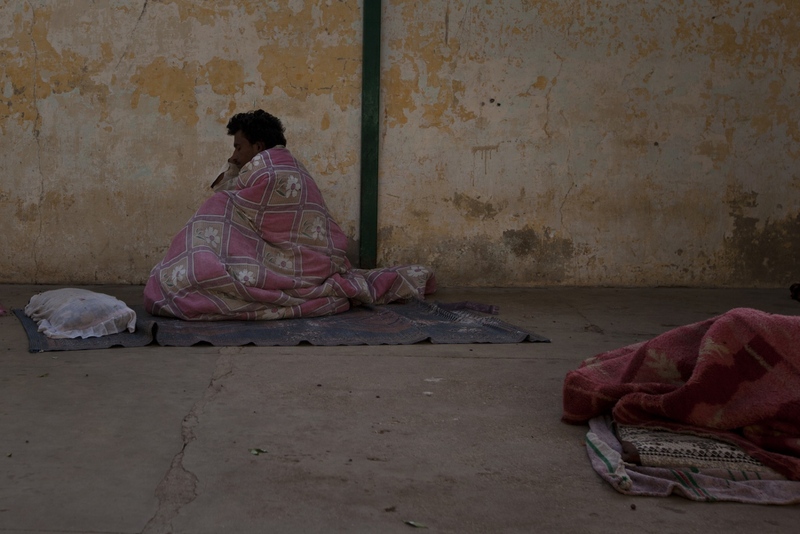 Pakistani resident Muhammad Rehan, 18, believed to be possessed by a demon, sits by the wall where he has been chained for four months at the shrine of spiritual leader Hazrat Abdullah Shah Ashabi in Makli in the district of Thatta in Pakistan's Sindh province on November 25, 2011. Surrounded by desert on all sides a shrine haunted by a Sufi mystic draws those desperate for peace. Living there for days or even months, worshippers who believe 10th century spiritual leader Hazrat Abdullah Shah Ashabi can rid them of possession by demons, known as jinns, leave offerings, chant prayers and grasp at walls in the rooms surrounding his tomb. 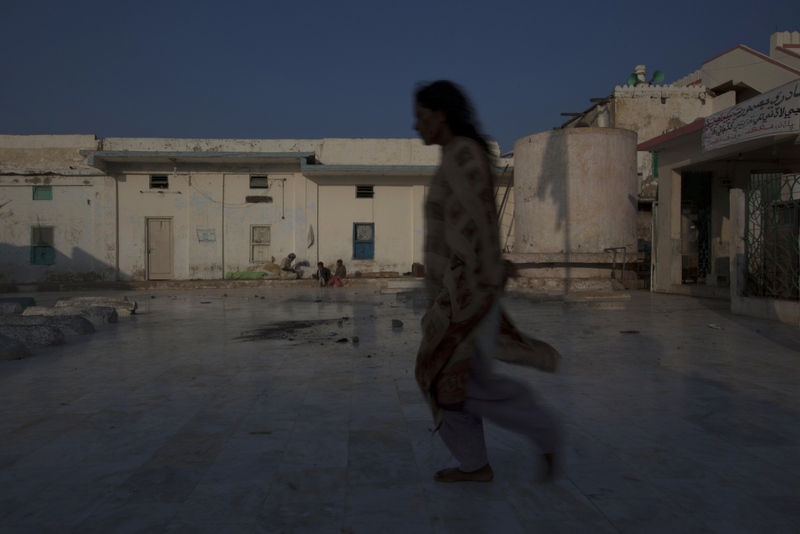 Shrines across Pakistan's Sindh province attract waves of believers, and worshippers can stay years at the Ashabi shrine in a bid to exorcise evil spirits. By Rebecca Conway — Almost a million people work in around 11,000 brick factories in Pakistan, including over a quarter of a million children. Many are bonded..
By Rebecca Conway — Against modernisation and falling demand for their services, tiny corners of some of New Delhi's neighbourhoods are still given over to the work of..
By Rebecca Conway — In an anonymous house in one of Lahore's oldest neighbourhoods a small group of volunteers are offering women and children safety and practical..
By Rebecca Conway — The patients start arriving long before the tiny clinics open. Many have travelled miles and often on foot, and when it's their turn, are gently..